We offer printing inks like screen printing inks, rotogravure printing inks, flexographic printing inks and flexographic inks. 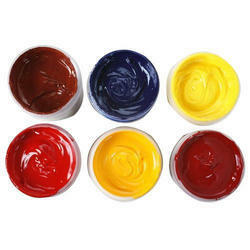 We are engaged in manufacturing of Screen Printing Inks which is available in all colours, metallic colours and pearl. 438, Phase 2, Near Tapsheel Vatva, G. I. D. C.